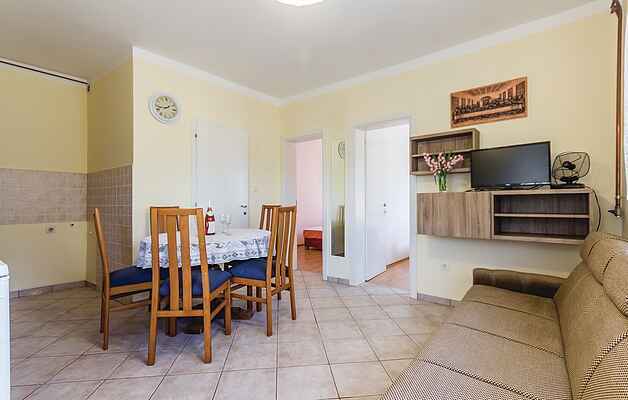 This functionally furnished holiday apartment is located on the ground floor of a family house in the small and quiet village of Kavran, where you can relax from everyday stress with long walks in the idyllic surrounding. The apartment is ideal for families with children as there are facilities for entertaining your children on the spacious shared property. About 400 m of road leading to the property are not paved. We recommend exploring the area and visiting Fažana, Brijuni National Park, Cape Kamenjak, Pula and Rovinj.